The girls basketball team (16–3) suffered a tough loss to the Paint Branch Panthers (15–3) 66–47 Monday. The Vikes jumped out to a 7–0 in the first few minutes of the game, but the Panthers managed to mount a comeback and close the first quarter with the Vikes up 14–13. During the second quarter, the Panthers began to pull ahead of the Vikes on offense, scoring 18 points while the Vikes only scored 10. At the end of the half, the Panthers were ahead 31–24. The Vikes increased their offensive pressure during the third quarter, outscoring the Panthers 14–9. Guard Elyse Lowet and forward Carter McGloon led the team in scoring, totaling 10 points each. The Panthers responded to the Vikes’ third quarter momentum and came back in the fourth, dominating on both offense and defense. The Panthers scored 26 points in the fourth quarter alone and contained the Vikes’ offense, keeping them to only nine points. The Vikes had difficulty containing the Panthers top scorer, who contributed 33 points. The Vikes next face the Seneca Valley Screaming Eagles Feb. 12 at 5:30 pm at Seneca Valley High School. 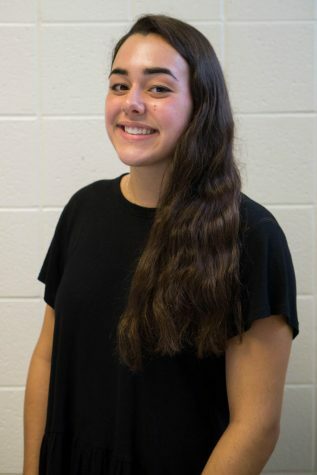 Elyse Lowet is a sports editor for The Black and White.